egs Displacement (vector) and Distance (scalar), velocity (vector) and speed (scalar), etc. 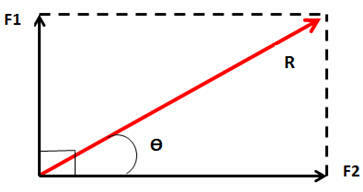 v The RESULTANT of a set of vectors is the single vector that can replace the set to produce the same effect. then trigonometry to find the direction. But you may also be asked to solve it using a scale drawing instead. 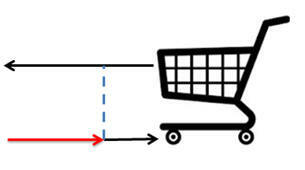 v A COUPLE is a pair of EQUAL and OPPOSITE, PARALLEL forces. point through which the weight force due to the Earth acts on a body. NOT mix up the vertical data with the horizontal data! acted on by a resultant force. equal and opposite force on body A. MOMENTUM after collision provided NO EXTERNAL FORCES ACT. Inelastic collision where ke is converted to other forms of energy. 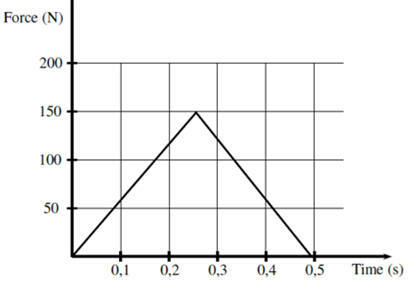 So, FDt = Dmv , so the area under a F / t graph is the change in momentum. 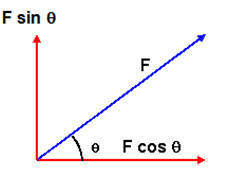 F = k ΔL, k is the Spring Constant and a measure of the stiffness. 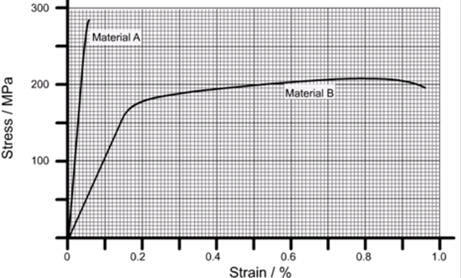 ELASTIC LIMIT a material will not return to its original length. 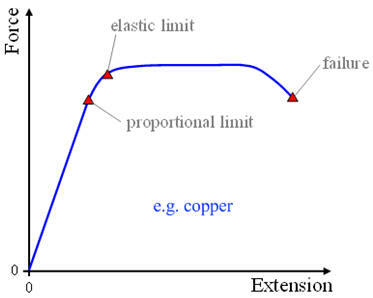 NB the elastic limit and limit of proportionality do not necessarily coincide. shape after the applied force is removed.